Tags: 2020VQ, blind hiker, MtWashington, Randy, success, Team 2020. 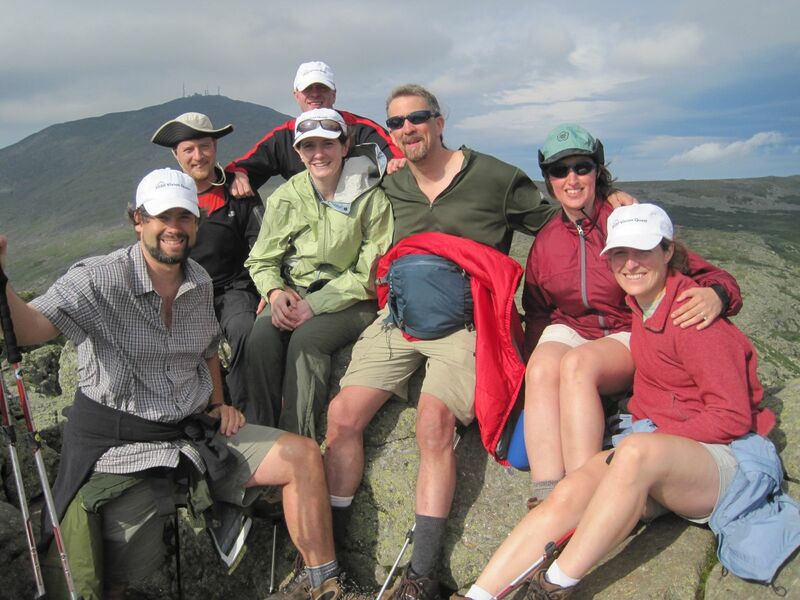 Achieving the summit of Mount Washington on our Inaugural 2020 Vision Quest hike was a tremendous success. Reaching the lives of many people with our tale and our message is an overwhelming and hopefully ever-increasing success. Having the incredible experience of the journey, the struggle and the accomplishment is an unmitigated success, and stands as an example of what I think is the essence of my very fortunate life. Over the last day, I’ve been evaluating a particular aspect of our journey. It’s something that challenged us to look at success with new eyes. It’s a facet of the trip about which I’m incredibly proud. Our plan was to climb the Ammonoosuc Ravine trail to AMC’s Lakes of the Clouds Hut. There we would evaluate the time, the weather, and the group’s condition and then either summit Washington and return to the hut or summit Monroe (a closer peak) and return to the hut. On the second day we would summit whichever of the two we had missed and return to the appropriate trailhead either via the Jewell trail or the Edmands trail. On Sunday July 4, we spent 8 pretty challenging and amazingly fantastic hours working the 2.4 miles to Lakes of the Clouds. We had all exerted significant amounts of energy to reach the hut. Doing the math, we saw clearly that making a Washington summit attempt that evening would be a hefty challenge. Washington was a 1.4 mile journey up some challenging and new (to me) hiking terrain. We anticipated that at our speed, the round trip time would be near to the 8 hours we’d just spent going a similar distance. For both time and exertion reasons, we agreed to forego a summit bid that evening. We were also well aware that this decision had a very serious impact on how much work remained ahead of us. We knew there would be much to address during our evening evaluation, but in the meantime, we decided to enjoy ourselves. Our crew had two folks and one dog take the resting option while the rest of us made for the peak of Monroe with no packs and minimal equipment. We did that .6 mile journey in 2 hours counting time to celebrate at the summit pin. After dinner we had a serious talk about our prospects. We were looking at a roughly 14-hour hike minimum for Monday if we wanted to achieve the Washington crown and get back down to the trailhead. I had done such a day in the Pemigewasset Wilderness with the UNH Outdoor Education class. I realized how tremendously challenging that type of day was for everyone. We also needed to consider that at the end of the hike our group was facing a three hour drive home. These factors combined to create a significant amount of risk, both on and off the trail. We thought about what we were accomplishing and what we had learned from the experience. We had considerable confidence we could shave off several hours in future journeys with a slightly different approach to a few things. Most importantly, we knew we had an amazing experience in full swing and it would not be lessened by choosing a safer approach. Our quintessential message is that we are always reaching higher and savoring the adventure; putting that much additional risk into the journey wasn’t worthy of us or our goals. We listed multiple options, did some quick research and then shared our thoughts and ultimately came to a decision together. Sitting outside the hut in the windy mountain twilight, we decided as a group to set our sights on the Washington summit – visible to us from our vantage point – early the next morning after the AMC breakfast. We anticipated roughly four hours of climbing and then left room for some evaluation, but would likely use the Cog railway to transport our crew down in whatever shifts would be required to get us all back to the trailhead. This meant that neither Washington nor Monroe would qualify as mountains climbed on my list of the 48 because that requires you climb to the summit and hike back down as well. We knew this. In a moment I think none of us will ever forget, we unanimously vowed that we would not only return to the mountain and achieve the requirements but would do it with our very same group who had bonded in so many life-enriching ways through this trip. Tonight I was reminded of a quote regarding the Apollo 13 mission; it was termed “a Successful Failure.” While we did not fulfill the requirements to add these mountains to our list of the 48, we were living our credo for Team 2020. We had savored an incredible experience, driven ourselves to reach incredible heights of both geography, determination and community. We had accomplished much and were already set to reach higher still when next we return to this mountain. The mountain’s original name was “Agiocochook ” in the language of the Abenaki Indians; it means “Home of the Great Spirit.” There is nobody in our group who doubts that all eleven of us in this journey proved that name quite true. We all had tremendous spirit in our journey and in our accomplishment. When we say it is about the journey and not the destination we offer the success of this trip as living proof of our beliefs. It’s a win/win in my book. Not only did you summit, but you get to revisit this wonderful mountain again in the future! Can’t wait! I deem this a successful trip. And I’m really jealous I didn’t go! I too had a trip with similar goals not go as planned – I had forgotten my hiking boots and did my best to do the hike in my worn, old Chucks. 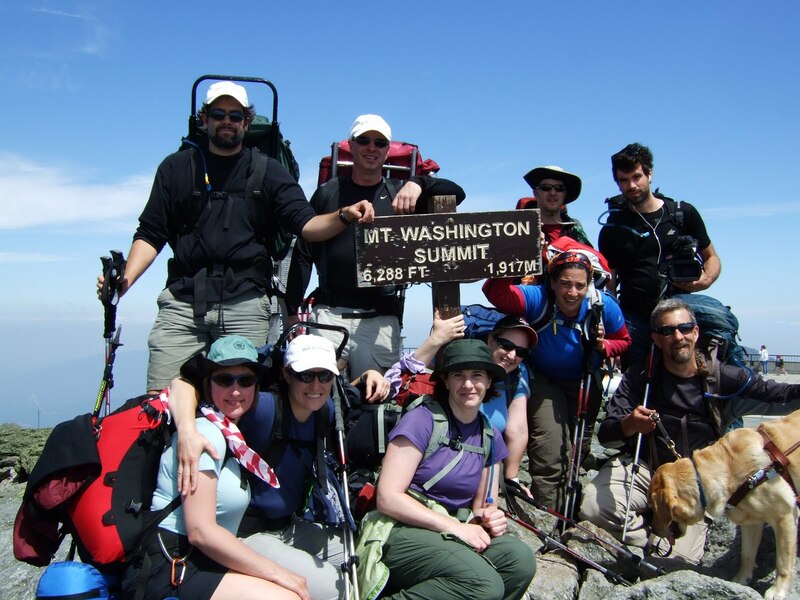 Needless to say – our 4 day hike turned into a two day hike and we didn’t even attempt the Washington summit assault. But I enjoyed the lakes in the clouds, walking UNDER the cog railway, sitting on Monticello green (or whatever that open area near Jefferson is called), the company of my old friend, frying steaks on an open fire, and bivouacking just under the ridge line. I learned a lot about trip planning, rolling with the punches, and the importance of picking the right hiking companions! So, did you hit your stated goals of summit assaults? No. Did you hit your (maybe) unstated goals of fun, adventure, fellowship, safety, and identifying areas for improvement? Sounds like you hit and maybe exceeded goals there! I was concerned when I saw the tweets suggesting a potential failure of the mission and to read more at the blog. I was equally relieved to learn more about what happened in this article. This is not a failure at all. I’d say that it is actually a solid proof of character more than anything. Too many people get locked in on summits and lose sight of both safety and reality. Your trek up Monroe and Washington sounded both challenging & fun. And no doubt the team camaraderie was the true reward far beyond any technical round-trip summit check mark. I have no doubt you’ll be returning to those peaks and I’d like to be there when you do! Not a failure at all, but a wise group decision. You reached the summit, you learned, and now you get to do it again! I consider Monroe a true conquest. Many mountain conquests are from a base camp, yours was the lake. Mt Washington, well I agree and look forward to another attempt. Wisdom, I never see enough of it. Thank you to you and your team for not taking risks. The bigger picture awaits. We do not consider it a failure by any means but understand that some might have wonderred about the reasons and results. While my goal is to properly summit and descend each of the 48, it is absolutely about the experience and journey for me. I loved this hike and absolutely I was disappointed when we had the discussion to adjust our plans but I did agree with the reasons and supported it fully. It did not lessen my tremendous appreciation for the experience and our accomplishment. There is an interesting philosophy in the peak bagging concept. I truly never want my journey to be about checking items off a list. That will come from our approach and hopefully help support the philanthropic part of this project but it should never be my driving motivation. The old addage of not seeing the Forest for the trees applies quite well here I think – even for a blind man!